Are you using a paid tracking tool like the one provided by My Blog Log? Now, its time to switch to a free Tracking Tool provided by Google Analytics. 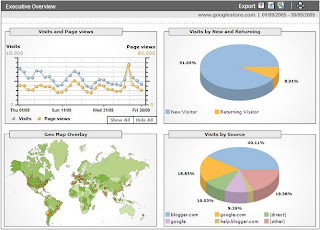 Its fast, free and provides very good report about the traffic on your site, unique visitors, from where they are and what they mostly see in your site. Moreover, you can also see where they click and for how much time they see each page. By this, you can know in what the visitors are interested and what they want to see. up. This website is something that's needed on the internet, someone with a little originality!